12/23: Gifted Market’s Last Shopping Party – With Beer! Plus Talib Kweli and the gambler himself: Kenny. Rogers. 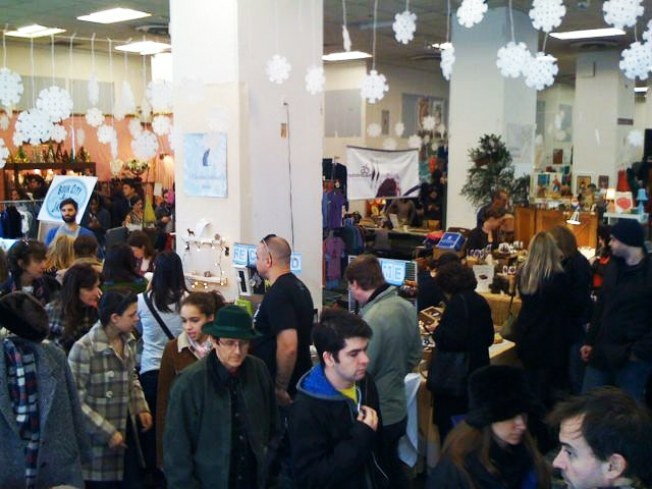 TWO BIRDS: If you haven’t caught one of the Gifted Holiday Market’s Wednesday evening after-work shopping parties, now’s your last chance. Not only can you scratch every last gift off your list, you’ll get to sip complimentary suds from the Brooklyn Brew Shop. 6-9PM. ROASTIN’ CHESTNUTS: Everything we need to know in life, we learned from Kenny Rogers: When to hold ‘em, when to fold ‘em, when to walk away, and so on. (And that’s not including his way with chicken.) Catch one of America’s enduring troubadours at Westbury’s North Fork Theatre at 8PM. STAR POWER: Talib Kweli’s been namechecked as a genius by the éminence grise of rappers (Jay-Z AND 50 Cent) – not bad for a dude who started out with Black Star more than a decade ago. He brings his intelligent, socially relevant beats to Highline Ballroom, headlining a night of hip hop at The Night Before The Night Before Christmas, presented by Blacksmith. Doors at 7, show at 9PM.